Not all countries would be the same, and swimming regulations and rules are changing from one country to a different. Swimia.com demands your feedback to ensure all the facts is valid, since maybe this pool is no longer open towards the public. 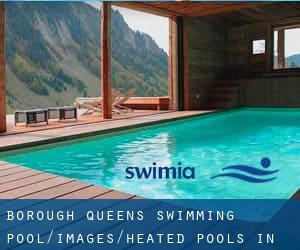 Looking for Heated Pools in Queens? Quite a few of them belong to gyms or sport centers which also supply lessons. Swimia.com has the most up-to-date database about Swimming Pools. 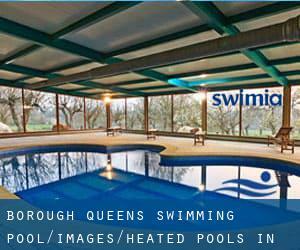 These are the Heated Pools in Queens other users have reported. Are you a local and your pool isn't listed? Contact us to ADD IT. It is free of charge! Water sports are increasing specially in elderly population sectors who have suffered some type of muscle or bone damage. Avery Avenue and 131 Street , Flushing , Queens , NY , USA (Postal Code: 11368). Among all of the activities offered by the center, for anybody who is keen on swimming you are going to get pleasure from Olympic size x 25 meters, 8 lanes, Indoors. Just in case you want to make contact with this Swimming Pool before dropping by, we only know the phone number. 32-23 Queens Blvd. , Long Island City , Queens , NY , USA (Postal Code: 11101). Among all of the activities offered by the center, for anyone who is interested in swimming you can expect to delight in 25 yards, 6 lanes, Indoors. If it is advisable to contact this Swimming Pool, email address and phone number are both number. 89-25 Parsons Blvd. , Jamaica , Queens , NY , USA (Postal Code: 11432). This sports center offers 20 yards x 20 feet, 4 lanes, Indoors. For this Pool, only phone number is number here. 15 Borage Place , Forest Hills , Queens , NY , USA (Postal Code: 11375). This sports center gives 20 yards x 20 feet, Indoors. Contact data for this Pool such as phone number and email address are number. Fitzgerald Gymnasium , 65-30 Kissena Blvd. , Flushing , Queens , NY , USA (Postal Code: 11367). Among all the activities provided by the center, if you are keen on swimming you can enjoy 25 yards x 42 feet, 6 lanes, Indoors. Just in case you wish to make contact with this Pool just before dropping by, we only know the phone number. 238-10 Hillside Ave. , Bellerose , Queens , NY , USA (Postal Code: 11426). Swimmers like you have reported 25 yards, 4 lanes, Indoors. Also, you will find 25 yards, 6 lanes, Indoors. If it is advisable to contact this Swimming Pool, email address and phone number are both number. 2112 30th Road , Long Island City , Queens , NY , USA (Postal Code: 11102). This sports center gives 25 yards, 5 lanes, Indoors. For this Swimming Pool, only phone number is number here. 177 Baisley Blvd. , Jamaica , Queens , NY , USA (Postal Code: 11434). Among all the activities provided by the center, if you are keen on swimming you can enjoy 25 yards x 30 feet, 9 feet depth, Indoors. Just in case you wish to make contact with this Pool just before dropping by, we only know the phone number. 133-01 41st Road , Flushing , Queens , NY , USA (Postal Code: 11355). Among all of the activities offered by the center, should you be interested in swimming you can enjoy 20 yards, 4 lanes, Indoors. Just in case you want to contact this Swimming Pool just before dropping by, we only know the phone number. 138-46 Northern Blvd. , Flushing , Queens , NY , USA (Postal Code: 11354). Few days ago a regular user of this center told us they offer 25 yards x 45 feet, 6 lanes, Indoors. Furthermore, they keep in good conditions 20 yards, 3 lanes, Indoors. For this Pool, only phone number is number here.